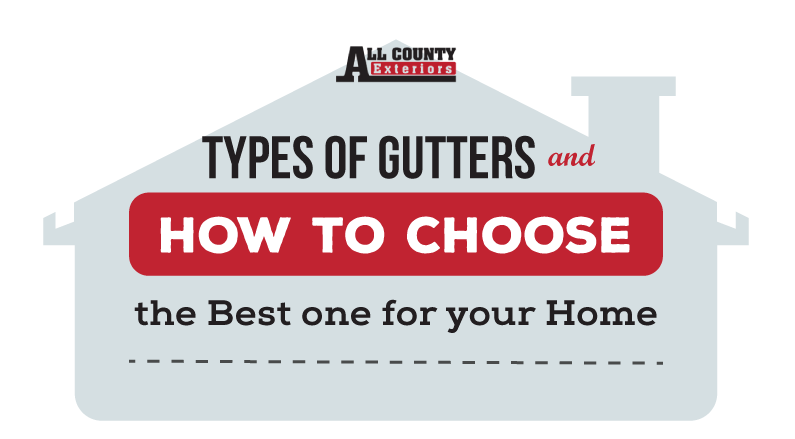 Because gutters can be one of the most neglected parts of a home exterior, it is not surprising to know that not many homeowners are aware that there are a number of types of gutters they can choose from. Just like with siding and roofing, there is a perfect kind for your home. According to experts, the best gutter for your home is the one that efficiently and quickly moves water away from your foundation and protects siding. Everything else is just cost and aesthetics. One of the most common problems homeowners encounter with their gutters is the accumulation of leaves and dust. However, it takes longer for most to take action and clean it to prevent further and more severe damage. Basically, gutters come in two basic types: sectional (or seamed) and seamless. Within each type are other designations for shapes, materials and colors.